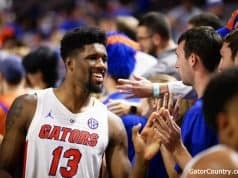 The last few days inside the Florida Gators basketball program have gone about the same way as most teams around the country. Coaches sit down with players for postseason meetings and talk about the future. Some players walk out of the office happy with their projected role and ready to take the court for the next season. Some walk out for the very last time, ready to start a new chapter in their lives. 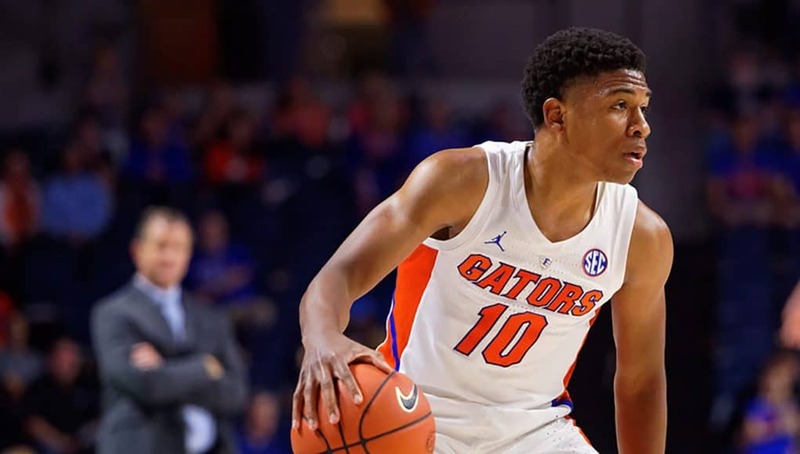 For the Gators, three players came to Mike White this week with the intention of transferring. None came as a surprise to him. Mike Okauru and Deaundrae Ballard did not meet expectations in their time at Florida and rode the bench for a majority of their first two seasons, especially late in the 2018-19 season when White really limited his rotation. Keith Stone never made the jump he needed to before going down with an ACL tear in the middle of the season. He decided the grad transfer route was the best option for him. Attrition has simply become the reality of college basketball, and for all college sports. Players come in confident that they can earn playing time, but the fact of the matter is, everyone on the roster can’t play every game. Around the midway point in the season, and probably before the season even started, White knew he’d have players who wouldn’t return for the next year. He saw the patience wearing thin for several guys. Now, it’s all about replacing the holes those three (four including Chase Johnson) left. 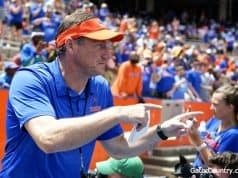 Florida has a chance to really restructure its roster, and White is willing to do that any way he can. It will likely be a mix of transfers and more high school recruits. The Gators already picked up the commitment of big man Jason Jitoboh to add to the 2019 class. But size isn’t the only thing Florida is looking for. White said he wants to take some shooters as well—something the Gators surprisingly struggled with this season. At this point, he just wants to bring in quality players and let the rest settle itself out. 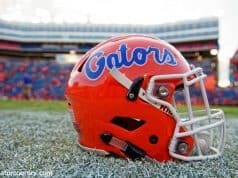 Florida may have lost a lot, but what is left of its roster is not all bad. A big question looking ahead to next season is who will step into that leadership role Kevarrius Hayes left. It sounds like White will have to look no further than his rising sophomores. Those guys may be young, but they grew up fast. Their attitude just days after falling in their very first NCAA Tournament gives reason to believe the road ahead isn’t as long as it originally seemed.